Showing posts from: What are we up to? Sometimes it’s hard to know if a brand is well suited to your needs. Here at BuySpares it’s really important to us to give our customers amazing service. We do our absolute best to get you the right parts as quickly as possible so you’re not left with a broken appliance for long. 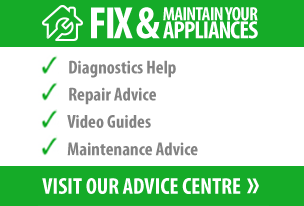 If you have an appliance breakdown over the holiday season we can help you fix it. Here are our latest Christmas delivery dates to help you ensure you parcel arrives in time for Christmas and our opening hours so you know when you can speak to one of our friendly team over the phone. As you may already be aware, we have unfortunately experienced delays with our customer orders. This is a result of last night’s power cut. The issue has now been overcome and we are doing our very best to make sure that these back orders are sent out to you as quickly as possible.